What you can expect on a given Sunday depends a great deal on time of the year and what time of the day you visit, but we hope you always find a warm welcome. All baptized Christians are invited to receive communion at our worship. It is important to prepare thoughtfully for this sacramental meal, noting where we are not reflecting Christ in our thoughts, words and deeds, and intending to follow in the way of Christ. In the Episcopal Church communion bread is offered in the form of wafer and optionally wine which may be received by intinction (carefully dipping the wafer into the cup of wine) or by a sip from the common cup. Also, some persons choose not to receive the wine. 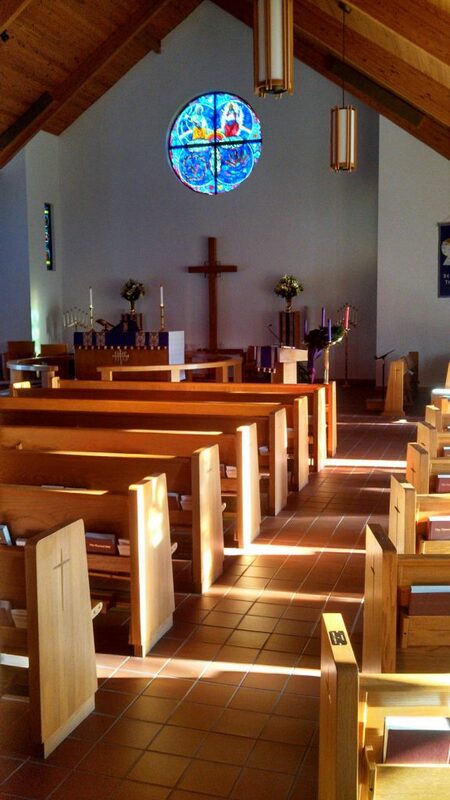 To receive the bread and wine we go down the center aisle and return to the pew by the side aisles. Visitors who are not baptized in the Christian faith are always encouraged to come forward to receive a prayer of blessing. 9:00 a.m. The middle service is our informal worship gathering that typically lasts an hour. There is a strong focus on lively praise music by the Arise music team. The clergy do not wear vestments and there is no procession at the beginning or at end of the service as found in our more formal worship. 10:30 a.m. 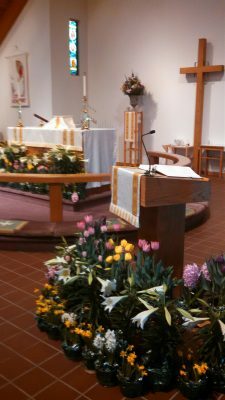 The third worship hour is a Holy Communion service with traditional organ music, adult and sometimes children’s choir, and processions with clergy, priests and other ministers in traditional vestments. You will see that children and infants are welcome at all services, and that if an infant begins to fuss, they are walked out to the lobby to settle. Optional nursery care for infants through kindergarten age children is offered from 8:55 until 11:40 a.m. every Sunday year round. Ask an Usher for the location of the Sunday Nursery. Service leaflets for our worship services are available from an usher at the sanctuary entrance, which will help you follow the service. For those who might require assistance, large print leaflets are available as well. After all our worship, you will see that some people like to greet the clergy at the central door to the lobby, while others depart by the side doors. There will also be greeters in the lobby, identified by red lanyards, that will be happy to tell you more about St. Matthews. You will note that people wear anything from “business casual attire” to coat and tie. There are two main entrances and parking lots giving access to the church buildings. The upper lot, visible from Tennis Avenue and to your right as you enter the drive, provides handicapped access and is the most immediate way to the Sanctuary and Parish Hall. The lower lot at the bottom of the main drive also provides direct access to the Sanctuary and our weekday Nursery School. The Music Ministry at Saint Matthew’s engages people of all ages. It encompasses the Adult Choir, Children’s Choir and the Arise Music Team. Music enhances the theme of our worship services and enables many to feel the presence of God. We praise and glorify God through the gift of music. 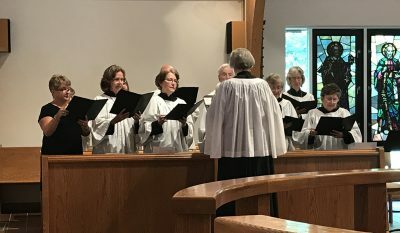 The Adult Choir, with organ, leads the music at the 10:30 a.m. service, singing a broad repertoire of music from the earliest styles and traditions to newly published anthems. The Children’s Choir, currently on hiatus, is composed of children in first through sixth grades. As part of the choir, the children learn basic skills in voice, music reading, and percussion instruments including handchimes, liturgy, hymns and anthems. They sing once a month at the Traditional Service. In addition to our regular music, our worship is frequently enriched by guest musicians on a variety of instruments. The Saint Matthew’s Church Choirs truly love to sing together and help lead the congregation in singing. Participating in choir has created strong bonds of friendship as members work together to blend their voices in praise of God. The Arise praise and worship team provides support and leadership for the 9 a.m. 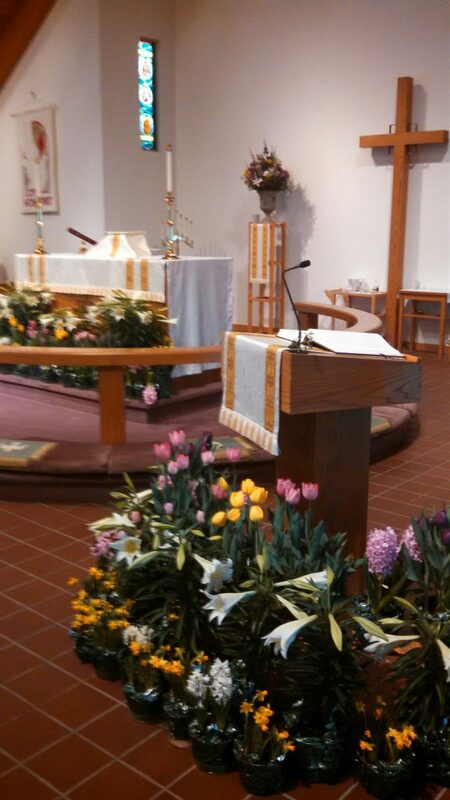 Contemporary Eucharist. They lead traditional and new contemporary songs written by Christian musicians inspired by the scriptures of the Bible. 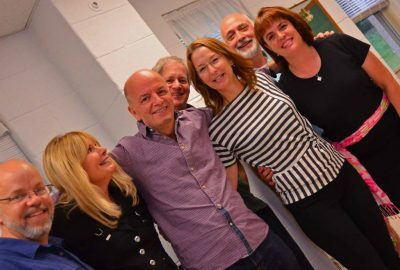 The Arise band has been blessed to accompany international praise and worship leader Robin Mark at Saint Matthew’s for nine years, bringing people from all over the region to come and worship the Lord. Praise and worship is an essential part of being who we are as Christian people. It is an attitude of the heart,an outpouring of the soul, and the overflow of the Holy Spirit.